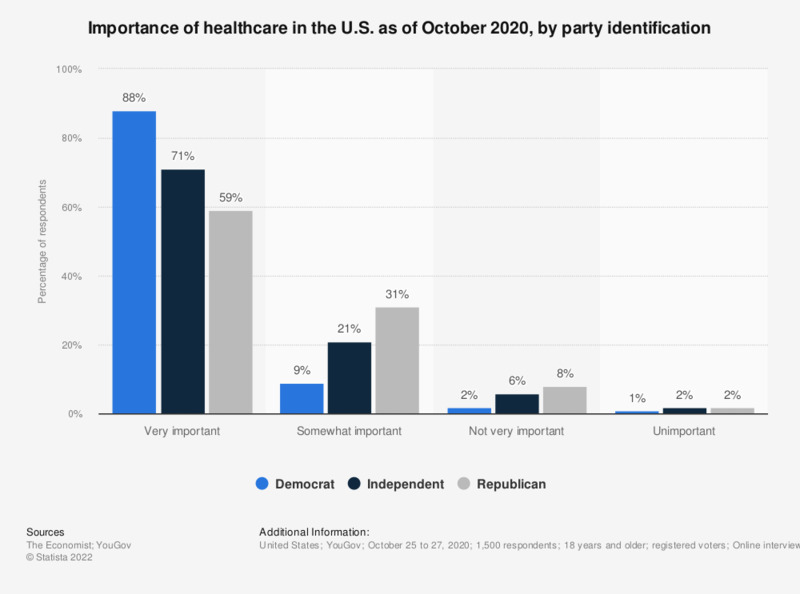 This statistic presents the opinions of U.S. respondents, by party identification, concerning the importance of the issue of healthcare, as of January 2019. It was found that 88 percent of Democratic respondents feel healthcare is very important, compared to 69 percent of independent voters and 66 percent of Republican voters. Original question: How important are the following issues to you? -Healthcare. Percentage points not equaling 100 percent are probably due to rounding. Do you think of yourself as a Republican, a Democrat, an Independent, or something else?